A Chameleon's diet in captivity, like any other omnivorous reptile, should feature variety. Fruit can also form part of your Chameleons diet, depending on the species. Veiled (Yemen) Chameleons will eat fruit and veg, however, Panther Chameleons usually won't. Flies, including blue bottles, green bottles, curly wing fly, black soldier fly, wax month and fruit flies. In fact there are easily around 30+ different feeders. You have to remember that all the above vary in their nutritional content. So all crickets are not the same. Likewise with a roach, and worms. At their core value, they all differ. But again to 'enhance' this still you will be needing to gut-load those bugs. No matter what bug it is (see the gut-loading section). So remember, it is important to offer as many feeder bugs as possible. And in the UK, between online ordering from the likes of Northampton Reptile Centre, as well as private breeders of live-food on various Facebook groups (like mine Chameleon Network) the bug variety at your disposal is huge. So no excuses. What do Chameleons eat in the wild? How much should a Chameleon eat a day? Why is my Chameleon not eating? 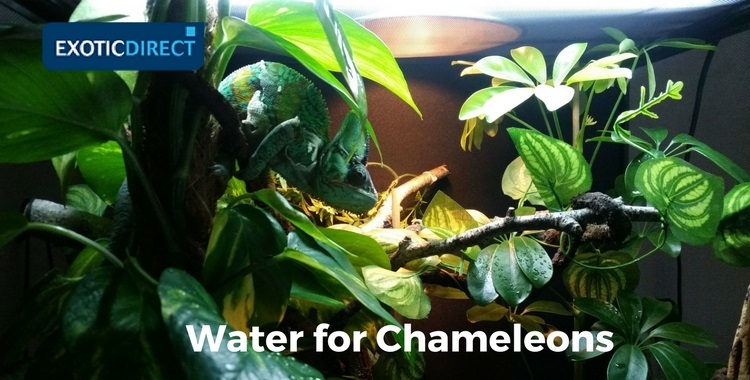 Is tap water safe for Chameleons? Why is my Chameleon eating sand? All Chameleons, regardless of the locale/sub-species will have the same type of wild prey available to them. Out of the live-food's listed above, a few of these are considered “treat” items. This is due to their fat content mainly. These would be Morio worms, Wax-worms, Butter-worms, Bamboo-worms and the Pachnoda grubs. And being a treat item, feeding in excess will only lead to health issues like obesity and fatty liver disease. So only feed two or three of these at a time as part of their varied diet. Another big debate is the pinky mouse/rat. Many say these are not to be given, others will say otherwise. Personally, I've fed a pinky once a month from time to time for a treat, or after one of my females has laid eggs for a calcium rich protein boost. And I've never had any digestion issues. And it would be a part of their natural diet, if the option presented itself. Please note, if you do decide that once a month it’s a good treat, make sure you feed only a pinky mouse/rat. Nothing bigger. The pinky has soft bones, and a belly fully of the mother mouse/rat milk, so they are very high in calcium. What kind of fruit and vegetables can Chameleons eat? Although mine often eat these, I don't actually leave a bowl of such in the enclosure as I know my bug routine and gut-loading program has the nutritional side of things well and truly covered. So it’s certainly an optional part of the diet. And if you try, and they don’t take these, don’t worry at all. Concentrate on the bugs and all will be fine. A Panther Chameleon on the other hand will not eat greens or fruit. Although some may have been fed successfully. Personally, I've not, so I don't bother offering now. A baby or young Chameleon (0-6 months) should be fed two to three times a day, and fed for about five minutes. Then at 6-12 months I feed once daily again for five mins. At 12 months, and pretty much full adult, most of their growing is done. There are still a few months of growth left, but all the high protein important growth is done. It’s now about maintaining variety, and nutrition. So at this stage I feed about 3x a week. And yes, again for about five mins. You'll definitely notice a Chameleon feeding habits are often a little sporadic when adult. They'll eat several bugs one feed, then the next only two or three. Don't worry about this either, it’s a case of quality over quantity. Another reason why variety is so important. 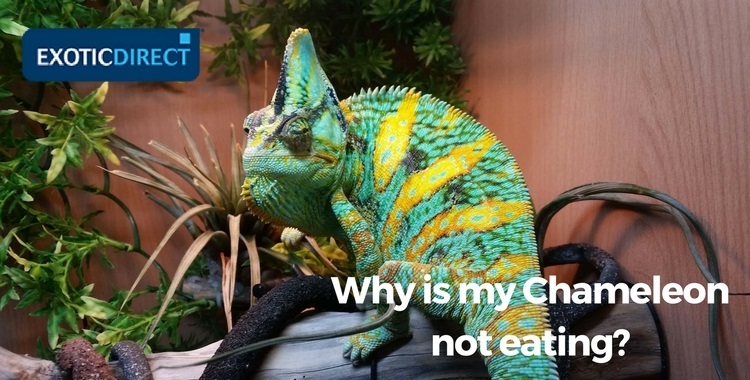 Is your Chameleon bored of his food? This is something I get asked a lot. And 90% of the time, it's a simple case of 'lack of variety' in the diet. So the Chameleon has gotten bored of its daily boring live-food. However, it can also be caused by parasites, a female preparing to lay eggs, incorrect setup parameters or the supplements used. Diet: The remedy in this case is a simple one, offer more bug types. As I said before between online shops, even local pet shops, there is no excuse not to offer a variety of live-foods to your Chameleon. I feed a variety each and every feed to all my bug eating animals. For example. I'll feed 2x Black Crickets, 2x locust, 2x silkworms, 2x dubia and so on. I find with this method they are having something different with every mouthful. And I've not had a reptile or amphibian go off any food type for years. Of course, any prolonged food refusal can also mean illness so if no change after a number of days, book a vet check-up. Parasites: It’s often a case of parasites which every keeper will encounter. So it’s not something to be ashamed of and a simple treatment is required. If it's anything else, the vet will advise. Egg laying: If you have a female Chameleon she could well be getting ready to lay eggs. This is something they will do, regardless of being with a male or not. At this time most will go off food the week prior to laying. It’s perfectly normal, just make sure you have a dig/lay bin ready for her to dig in. And, keep the hydration options up, hydration is even more vital at this stage. Incorrect setup parameters: One more thing it could be: Incorrect setup parameters. Meaning the UVB or heat is not up to the needed output/requirements. So heat and temperature may be too low or too high. (These requirements are mentioned, and detailed in my previous article here on ExoticDirect). Also, your UVB might not be within date (12 months usage with both T8 & T5 versions of Arcadia 6%, 12%. And ZooMed 5.0, 10.0. All other brands, 6 months). 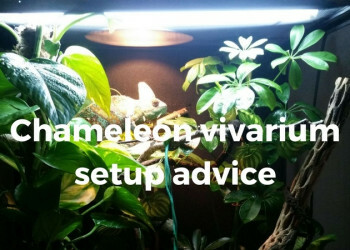 Or your UVB might not be within correct distance (see manufactures packaging for details or my article on Chameleon vivarium setups. Any of the above can stop a Chameleon eating, due to the major effect they have of food digestion. Supplements used: One other thing I have found it can also be - the supplements used. When you dust bugs in the calcium/vitamin powder it’s not supposed to be white as a ghost when fed. It only needs to be a very light coating, so it’s worth blowing off any excess powder before feeding. Also, supplements do taste different to the Chameleons. So it’s well worth changing these every six months regardless. I have found the Arcadia range of EarthPro-A, and Calcium-Mg, due to the likes of the added bee-pollen, a taste a Chameleon (or any bug eating reptile) find much more palatable. For me, I offer a few different hydration methods. The main two sources are an automatic misting system (not a fogger) and a plant dripper. Automatic misting systems: The automatic misting systems I use are; the Mist-king and Exo Terra Monsoon which both do a fantastic job at getting stuff wet to offer drinking opportunities :-). Both systems enable you to run the misting machine and enable the spray via the nozzles you position within a setup, on a timer. And for your set time amount. Mine go off twice a day for the Panthers, and once daily for the Veiled. And both for around 45 seconds each time. This for my setup is plenty to get all the foliage within wet. Thus giving the opportunity for the Chameleon to walk through the foliage and drink. Or actually lick the leaves. Both = job done. Plant Drippers: My other main method as I said is the Exo Terra Plant Dripper. This is basically a three tier artificial leaf setup on an artificial plant stem. Using a pump which you submerge in water, it draws the water up a concealed pipe in the stem and has the water drip down the leaves back into the water. So it’s a constant cycle. I submerge the pump inside a small Tupperware tub, and I drill holes into the lid of the tub, which I place on top. The water is then safe from any bugs, or faecal matter that might land near it. I've also used the ZooMed big dripper before with great success. Foggers: These on their own will not hydrate your Chameleon. They will aid in humidity upkeep, but that's about it. Generally if the water is safe for us humans to drink then it's all good for the Chameleons. However, it's worth mentioning that chlorine is an irritant. And Chameleons have very sensitive eyes. I personally use a water treatment with my water for my Chameleons. This is mainly out of habit being an Amphibian keeper too. And it’s vital you use a treatment to remove all chlorine from the water for those species. So several drops of ZooMed Reptisafe or Exo Terra Aquatize, does this for you. At the end of the day, whether you decide to treat the water or not, is up to you. The choice is yours. Gut-loading in a nutshell is giving all your live-food a huge nutritional and hydration boost by feeding them the likes of quality greens, vegetables, fruits etc. Thus filling their digestive systems with goodness. And when fed to your Chameleon that goodness is passed on to them. Go with the likes of spring greens, Rocket, Squash, Lambs Lettuce, herbs, fruits, fresh vegetables, the list is honestly endless. I put great care and thought into what I feed my bugs and I rotate food here also. You want good nutritional food items to be used, not just a piece of lettuce, which I have seen people do (this is not good). Treat those bugs as empty vessels of potential goodness and you have to fill those vessels with that goodness. Then give those full vessels to your Chameleon. Simple. Although bug digestion times vary from bug to bug, a good rule of thumb is to feed and hydrate those bugs for a good 24 hour period before you feed them to your Chameleon. This way, you can be pretty certain, the bugs have eaten, and have a belly full of hydration and goodness to pass on to the Chameleon once eaten. There are a few branded items that I recommend to assist you with the gut-loading process. My main go to gut-loading assist would be, Arcadia Insect-Fuel. This comes in powder type and is packed full of such items as Alfalfa, Bee-Pollen and many other things – far too many to list. And it can be sprinkled on the greens to add a huge nutritional boost. Or, add a little water to the mix, and it turns in to a damp kneed-able mix. And, it offers hydration in the process. To gut load crickets, you could use Nekton Cricket feed. This not only smells a little like banana milkshake, but all bugs seem to enjoy it. And as above sprinkle on your bug food, or supply in a separate dish for them. My only other item I use from time to time, Is Repashy Bug-Burger. This comes in a powder premix and you add boiling water. It sets firm and you can then can cut it up and provide it to your bugs. Again. The nutritional content is huge. So it does make a refreshing change for the bugs to consume. If you’re a reader of Practical Reptile Keeping magazine, Gut Loading is something I covered in great detail in the April 2017 edition. 'Geophagia' (animals eating sand/soil/mud/rocks) is common in the animal kingdom. The main reason in the reptile world, would be due to supplementation shortfalls. 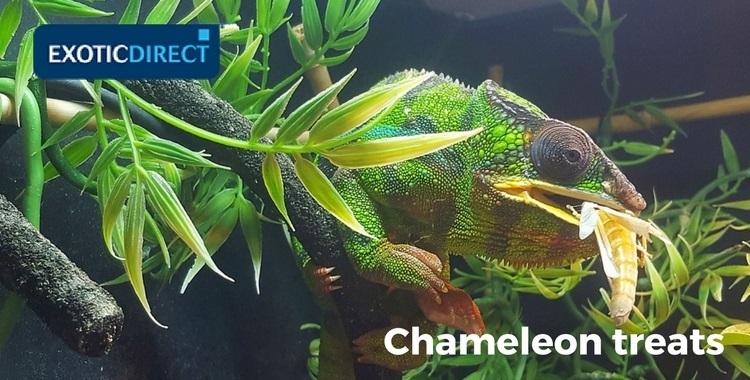 Your Chameleon would be most likely trying to gain nutritional content they feel they are lacking; Calcium, Magnesium etc so therefore a review of your current supplementation routine would be needed. But of course, if your Chameleon is eating sand and/or soil by the mouthful I'd definitely say there are more pressing concerns, and a herp vet is needed as soon as possible. When it comes to the dietary requirements of your Chameleon, the old saying of “you are what you eat” has never run so true. Feed and hydrate them (do this daily, or every two to three days, depending on amounts). Keep them very clean (twice weekly removal of dead bugs). Give them plenty of space (don't keep in the tubs they are purchased in). Keep your Chameleon's diet varied, so it doesn’t get bored. And this of course allows for the best possible nutritional delivery for your Chameleon. Staying hydrated = better digestion and eating also so find what works for your set-up in order to do such. 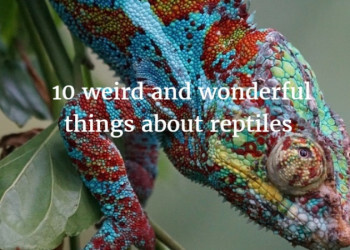 Do this, and the benefits will be passed onto your Chameleon. You are then well on the way to aiding a long happy life with your reptile. 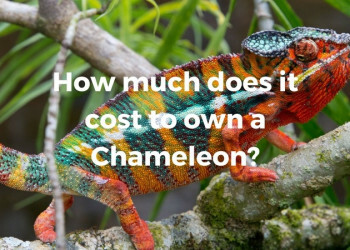 How much does it cost to own a Chameleon?